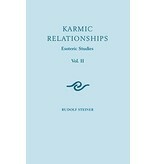 16 lectures, Dornach, April 6 – June 29, 1924 (CW 236) During 1924, before his final address in September, Rudolf Steiner gave more than eighty lectures on karma to members of the Anthroposophical Society. These profoundly esoteric lectures examine the underlying laws of reincarnation and karma and explore, in detail, the incarnations of certain historical figures. 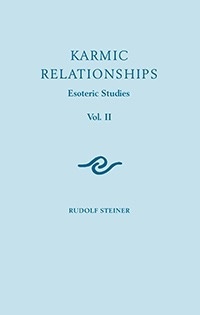 In Steiner's words, the study of karma is “a matter of penetrating the most profound mysteries of existence, for within the sphere of karma and the course it takes lie those processes that are the basis of the other phenomena of world existence?” In this second volume of the series, Steiner considers individual karmic relationships in history—for example, Marx and Engels—and surveys karma in human life, the formation of karma after death, and the “cosmic form” of karma. This volume is a translation from German of Der Entstehungsmoment der Naturwissenschaft in der Weltgeschichte und ihre seitherige Entwicklung (CW 326).